Ballots for the August 7th Primary Election will be mailed to registered voters beginning Tuesday, July 17th. On the ballot are federal, state and local positions that include: U.S. Senator, U.S. Representative (Congressional Dist. #6 and #10), State Senator, State Representative (Positions 1 and 2), Assessor, Auditor, Clerk, Coroner, Prosecutor, Sheriff, Treasurer, County Commissioner Dist. 3, and District Court Judge. Click here to view interviews with candidates. 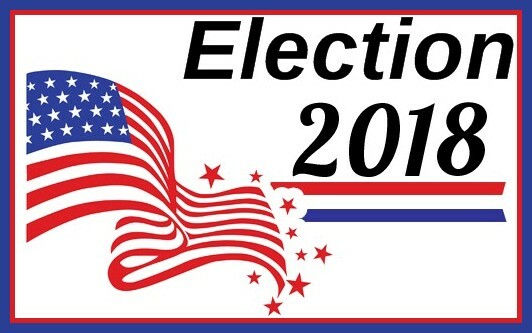 Ballots must be returned to the Mason County Auditor’s Office or in a ballot drop box by 8:00 PM on election night or by mail which must be postmarked by August 7th in order to be counted. This fall, Mason County voters will not have to pay for postage when they mail in their ballots. Thanks to emergency funding secured by Gov. 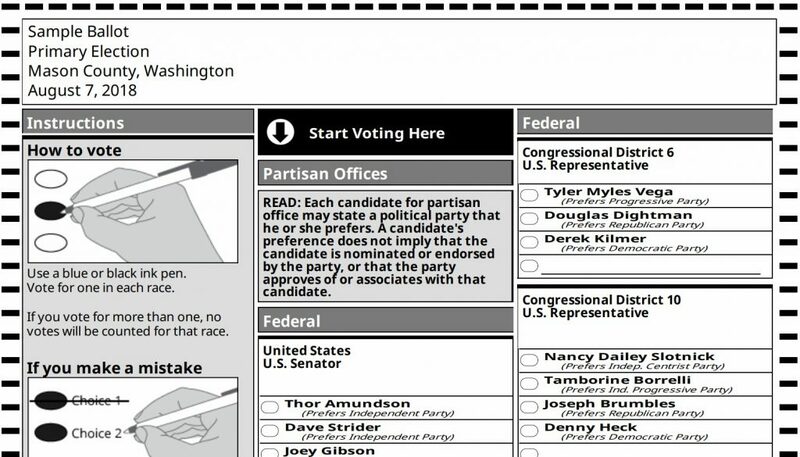 Inslee and Secretary of State Wyman, all Washington State Counties will receive a grant to provide ballot return postage for the Primary and General Election. Mason County will receive $17,895 from the State that will allow voters to return their ballots in the mail without a stamp. Although there are eight ballot drop boxes located throughout Mason County to also return ballots, not everyone has one located near them. Ballot return postage will provide just another free option of returning ballots that ideally will improve voter access and participation in the election process. For anyone not yet registered to vote but would like to receive a Primary ballot, the deadline to register to vote is July 30th but you must register in-person at the Auditor’s office. If you have any questions, contact the Auditor’s office at 360-427-9670 ext. 472, 360-275-4467 ext. 472, or 360-482-5269 ext. 472.